Welcome to the May 2018 edition of the PXI Newsletter. Our intent is to educate and inform you about how the PXI standard is being used in modular test systems for a wide variety of industries. 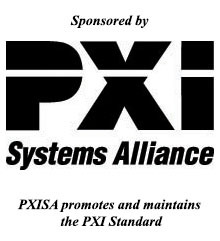 Our thanks go to PXI Systems Alliance, the sponsor of this month's issue. The application of MEMS technology has allowed Metal Oxide (MOX) Gas Sensors to be mass-produced at the wafer level with silicon wafer manufacturing offering cost reduction and scalability to large volumes. These gas sensor devices are suitable for precise measurement of Carbon Monoxide (CO) and a wide range of Volatile Organic Compounds (VOCs) such as Ethanol, Acetone and Toluene. Applications for these sensors, which are largely driven by health and safety considerations, include environmental monitoring, biological research, industrial control, portable breathalyzers and home air monitoring systems. The adoption of MEMS technology for MOX gas sensors has resulted in greatly reduced manufacturing costs. However, each of these sensors must also be tested, which presents a unique set of challenges when compared to the manufacturing and testing of typical semiconductor devices. This white paper discusses how a semiconductor manufacturer of Gas Sensors employed a focused test solution that provided the required accuracy, accommodated very large site counts, and matched the over-all throughput performance of high performance semiconductor test systems at a much lower cost. The MOX Gas Sensor is a MEMS device (Micro- Electro-Mechanical System) fabricated as a multi-chip module (MCM). The basic components of the MCM are the micro-controller ASIC, pre-tested on the wafer, and the sensor, the object of this test application. These components are placed on a common substrate and a lid is placed over the components with a small hole or mesh in the lid that allows gas into the sensor. The sensor consists of a small heating element housed beneath a thin membrane coated with a proprietary metal-oxide material. The MOX material is a variable resistor that responds to chemicals in the gas it is exposed to. The MOX can be formulated to respond differently to certain types or classes of gas, called the target gas. In an environment of “clean” air, the MOX resistance can be several MOhms. When heated, and in the presence of the target gas, the resistance of the MOX material drops significantly, down to several tens of KOhms. When the application of heat is removed, and/ or the test gas is eliminated, the MOX resistance returns to its previous value. The GX3104’s unique flex-power architecture offers users the option to configure the SMU as a 4-channel, 250 mA/ channel SMU or as a single channel, 1A SMU – providing test engineers the flexibility to support both high current or multi-channel SMU applications with one module. Avionics interface modules from Avionics Interface Technologies, offered through Keysight, enable connectivity between your PXI test systems solution to DUT’s with aviation industry standard buses. These modules are capable of simulation, monitoring, record and play back of bus traffic enabling test and verification of avionics equipment data communication capabilities. The SDR14TX AWG offers a complement to the previously released ADQ14 and ADQ7 digitizer families and can be used either for stand-alone operation or in system-level solutions with well-matched signal generation and data acquisition performance. The Advanced Testing Technologies PXI Insert allows the user to easily incorporate PXI/PXIe instruments into an existing VXI chassis. The PXIe-1095 chassis offers 58 W of power and cooling in every slot, 50 percent higher than all previous NI PXI Express chassis.